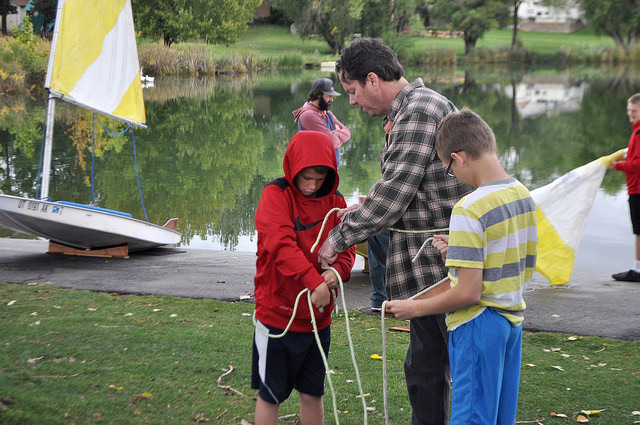 Save time and planning for the annual Fathers and Sons campout by staying at a Boy Scout camp. Year-round opportunities are available at many of our camps for an overnight bonding activity with your ward and stake. Rent facilities for shooting sports or aquatics to expand your adventure. "I loved the opportunity of takng my sons to a Scout camp. My 16 yr-old was able to take my 11 yr-old around camp to show him what he did during the summer at Maple Dell Scout Camp."